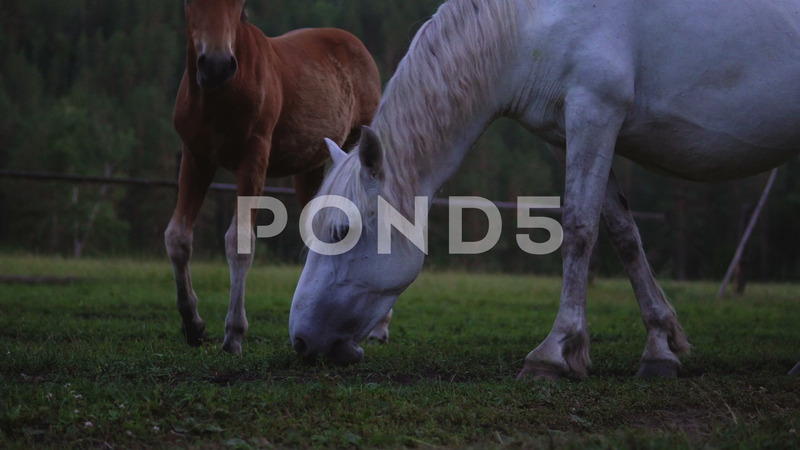 Horses Graze In The Forest. Description: Horses graze in the evening forest. Close up.